Darlene Jones Wright was born to Ernest and Florence Jones on July 11, 1954, in Chicago, IL. She attended Austin High School; graduating in 1972. Darlene went on to obtain her license in cosmetology which led to a lifetime of passion with hair. Darlene married Freddie Wright in 1979, and to this union was born two sons she adored; Freddie III and Carlton Ernest. She truly loved them both unconditionally and lived a life of a godly woman that demonstrated a life of salvation as their example. Darlene accepted Christ as her Personal Savior at the early age of 18 and was an active member of the Church of God; beginning in Chicago, Plainfield, Joliet and Charlotte; which was her final church home. Darlene possessed a sacrificial devotion to being a worker in the church. She was a dedicated choir director; hosting annual “Singspirations,” bringing together choirs for a nationwide jubilee held in Arkansas. Darlene was a youth camp director for over a decade; singing around campfires and planning recreational events all designed for the joy of the children… the campers she loved. She did the music for vacation bible schools and she was the best in devotional leaders, as she inspired joy incomparable. 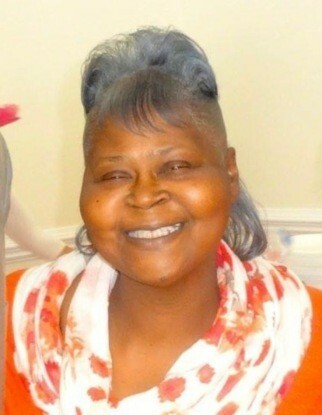 Darlene was indeed a godly woman that made “church” … her love… her life. She was committed to making the things of God, her priority; seeking first the kingdom of God, and all things will be added to you. Darlene lived this verse of Scripture as she’d arrive to church before a service as much as two hours… and just wait in the car until the door opened. Her life in the church was that of a “servant.” Darlene was a woman with many talents and passions. She was resilient, persistent and never gave up. Once an idea was born… she never gave up and she never would quit. She was dependable and had the capacity to complete a project, even when the challenges mounted… she persevered to see it through. Darlene was a salesperson, a wedding coordinator, an event planner; a designer of floral arrangements, and an organizer of fundraisers: providing funds to underwrite outings for children. She was a care-giver and often called upon to provide song at weddings and funerals. Spreading love and fellowship was her purpose. In January of 2016, Darlene was given an evil report; one that the doctors communicated that her life would soon end. Even though, the report were facts of her earthly body; the Truth of God’s Word prevailed as she begins to speak in agreement, “By His Stripes I am healed! The miraculous dismantling of the doctors’ report by the mercy of God; through the prayers of the saints, led to God extending Darlene’s life another two years. She lived these last two years, dedicated to her son Freddie and her four grandchildren, which were truly a delight to her for she loved her babies. She leaves as her life’s legacy… the embodiment of a godly woman, a mother, a grandmother and a friend to many who knew her and will miss her dearly.